Mega-Fight between Manny Pacquiao and Floyd Mayweather Jr is about to happen in just a nick of time, making Pacquiao’s team admitted that the pressure is now felt by everyone. Freddie Roach , Team Pacquiao’s ring tactician, on the other hand shared that more pressure is looming over Mayweather’s camp. Mayweather had built an image of being undisputed and invincible in the ring, and while it is a grand image, it also gives pressure now that he is about to fight PacMan. Roach shared that they feel pressure more than usual but the real pressure is at the other camp. His untarnished record meant everything in his career and now it is on the line. Mayweather had 47 fights and won in each one, though some questions his victories. There are speculations that he hand picked some fighters that he faced in the ring to make sure that he will win. Roach shared that Mayweather will have a hard time to keep up with the same endurance late in his career. His age had started to show as he had turned 38 last February. Some of his previous fights had shown that Mayweather had started aging. Roach said the further Mayweather’s career goes, the more pressure it would bare on him. He even compares it to baseball saying that like a pitcher, the first innings might be easy but soon in the late innings things will start to be harder. He also shared that as part of the strategy, they have to drive Mayweather out of the comfort zone and the first step had been making him fight Manny Pacquiao since Mayweather hates it and he ran out of excuses to get away from it. The next part of the plan is to make Pacquiao dictate the fight as early as the first round. 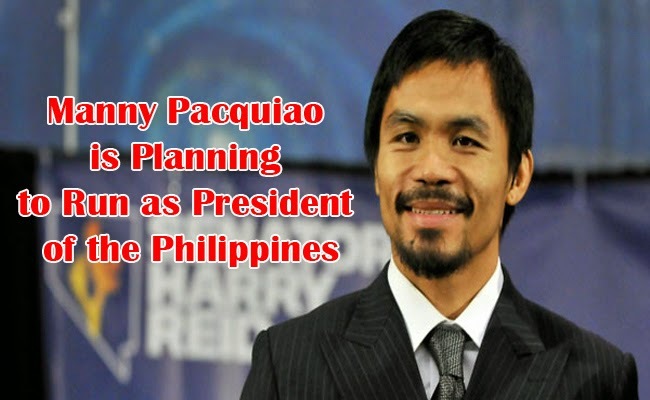 In the end Roach clarified that Pacquiao might not retire until he is old enough to run as the president of the Philippines.